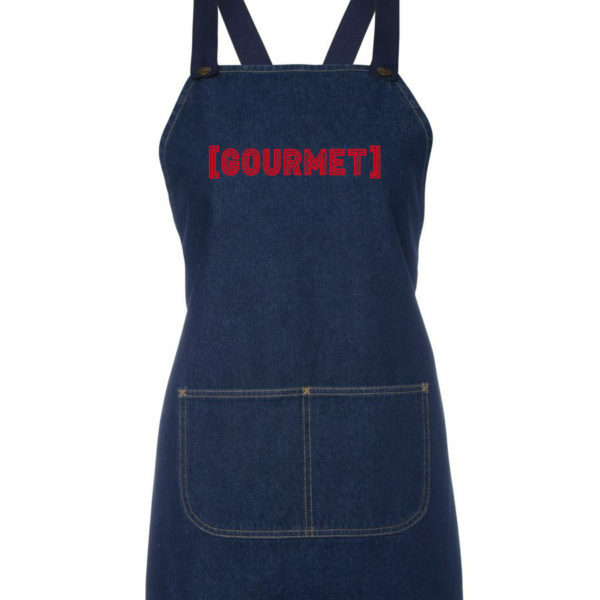 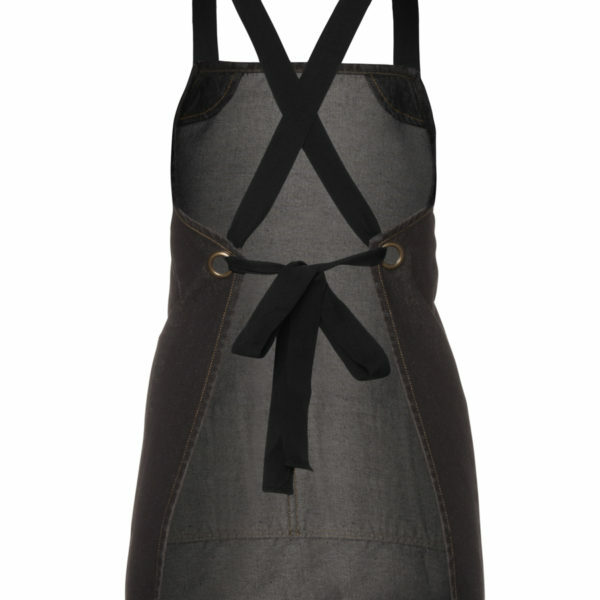 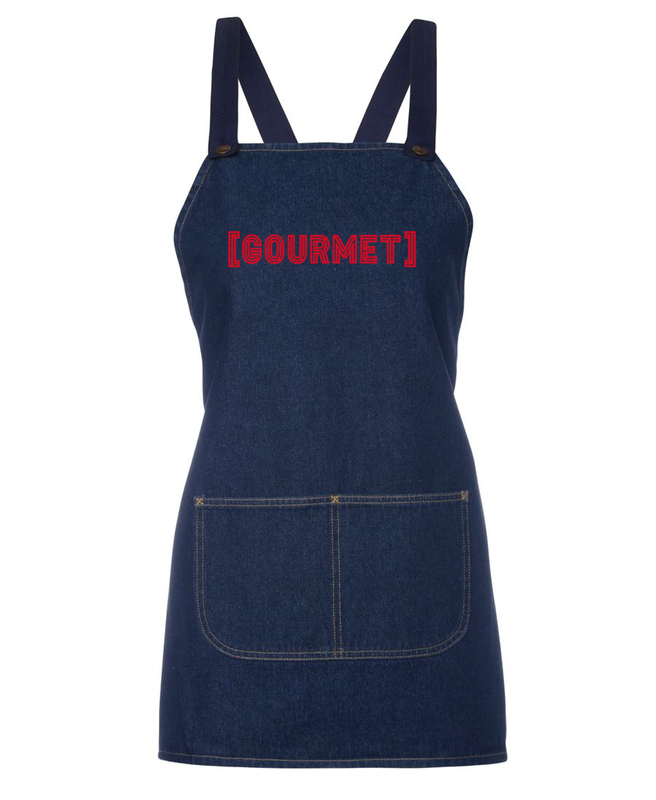 Cross back apron in Denim with embroidery. 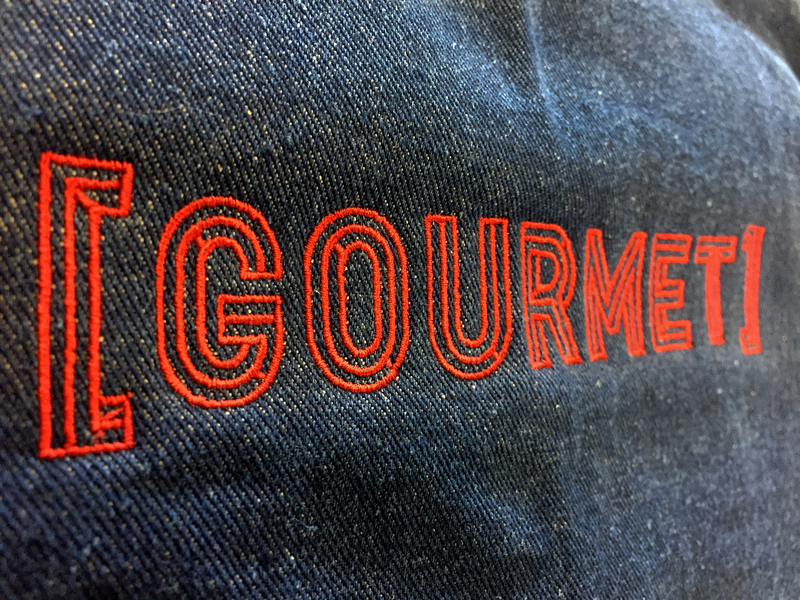 Strength, style and breath-ability. 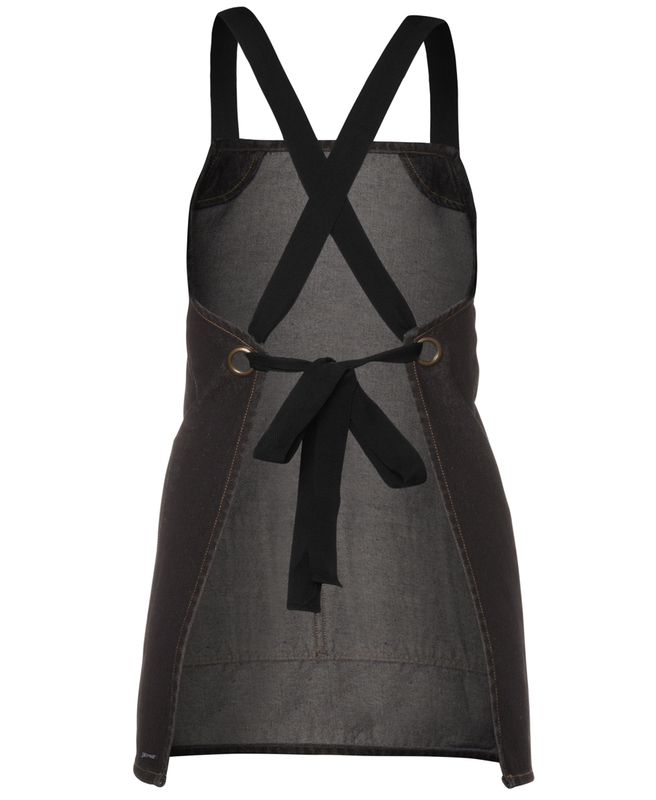 Detachable straps for easy washing. 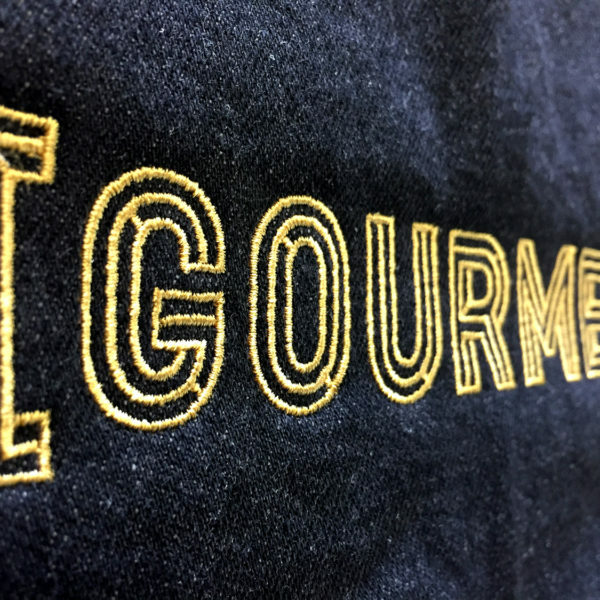 Large embroidery “GOURMET” (center front). 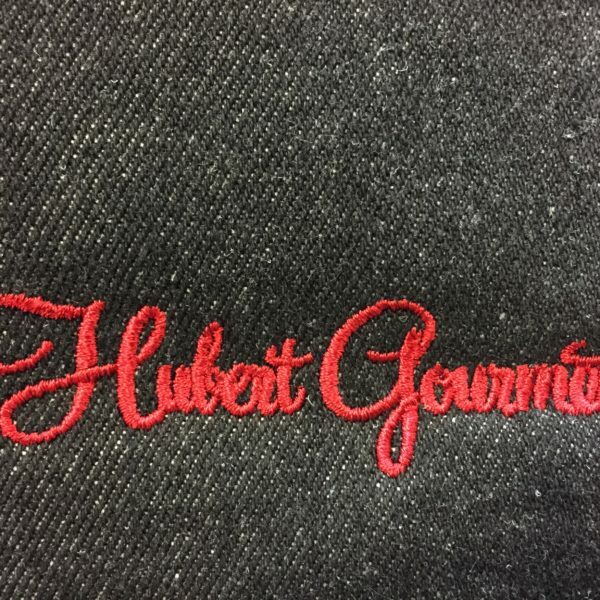 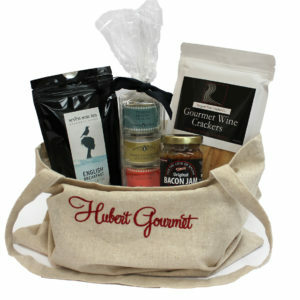 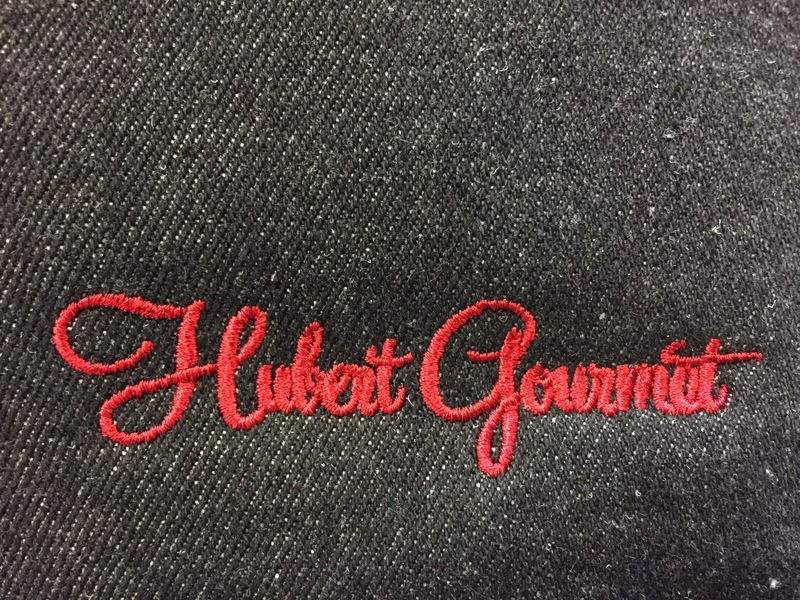 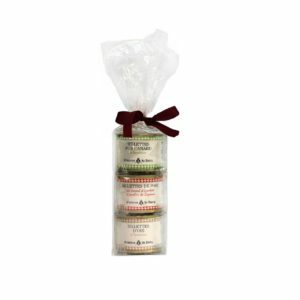 Small signature embroidery “Hubert Gourmet” (lower back). 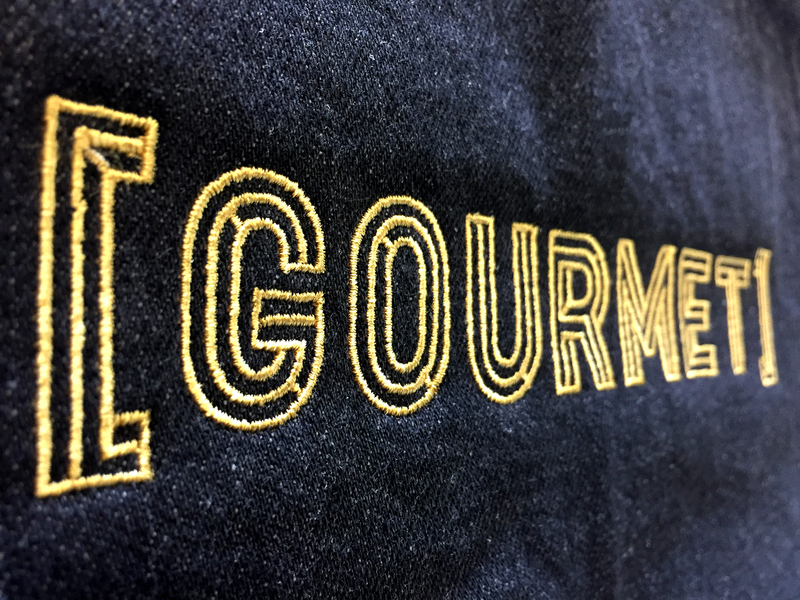 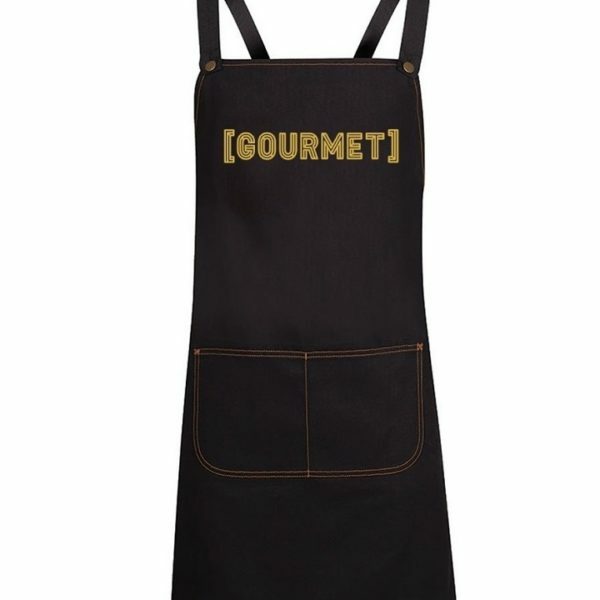 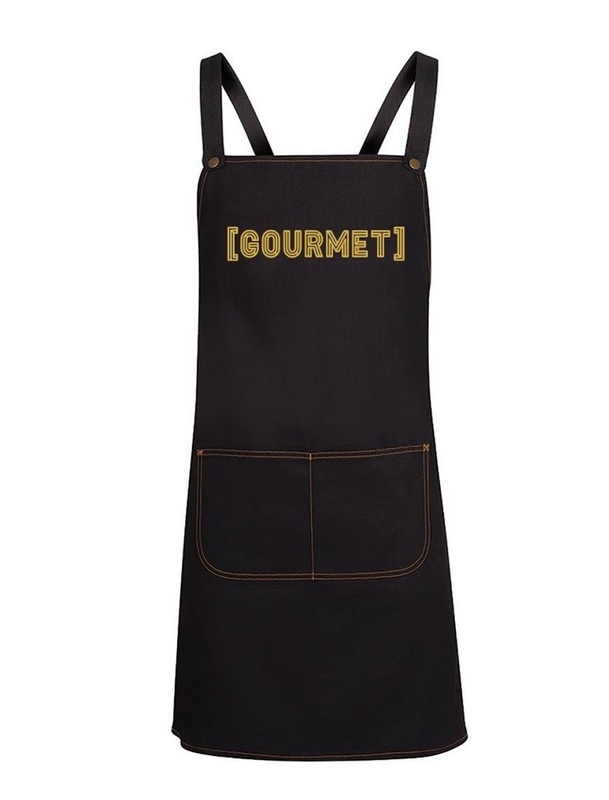 Embroidery Gold on Black apron. 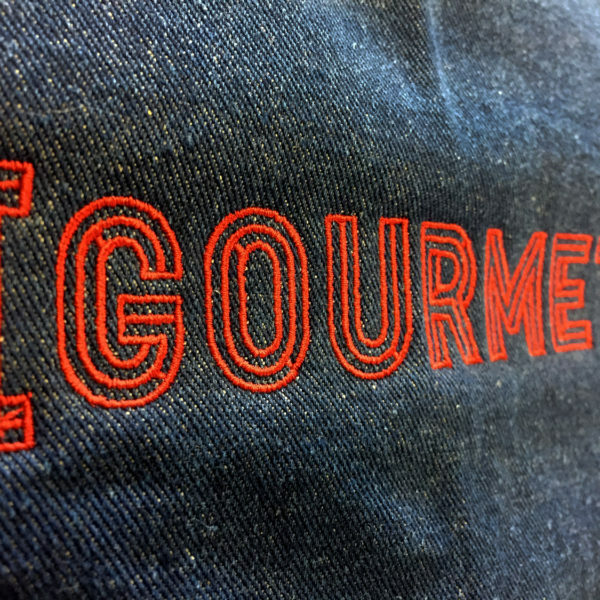 Embroidery Red on Blue apron.